This film's timeline begins with the death of Pope John Paul I on September 29, 1978, and then flashes back to Karol Wojtyła as a young man growing up decades earlier in Wadowice, Poland. The storyline then returns slowly back to 1978, covering Wojtyła's early life, family relationships, his political involvements fighting against Nazism during World War II and struggling against post-World War II Communism in Poland, and his relationship and involvement in the Roman Catholic Church as he becomes a priest, a bishop, a cardinal, and is eventually installed as a pope. 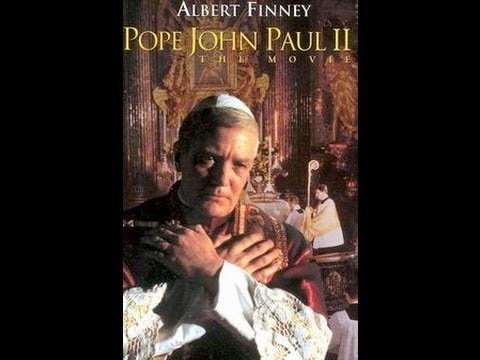 Pope John Paul II is a 1984 American biopic drama TV movie based on the life of Karol Wojtyła, from his early days as an activist in Poland to his installation as Pope John Paul II. Written by Christopher Knopf and directed by Herbert Wise, the film stars Albert Finney, Robert Austin, Caroline Bliss, Brian Cox, and John Forgeham. The film marks both Albert Finney's American television debut and the first script Finney had ever turned down upon initial reading.